Ise-Shima is a goldmine of gourmet cuisine, including fresh seafood, such as spiny lobster and oysters, and local delicacies such as Ise udon and tekone-zushi. Visitors can indulge in the bounty of the sea and mountains in its pure, unadulterated form. In Ise-Shima, there are plenty of shops, restaurants, and places to stay. The spiny lobster has established a reputation as the king of the crustaceans. It’s firm, tender meat and sweet flavor makes for a delicious treat, grilled or boiled. We also recommend simply slicing and serving in its original form. 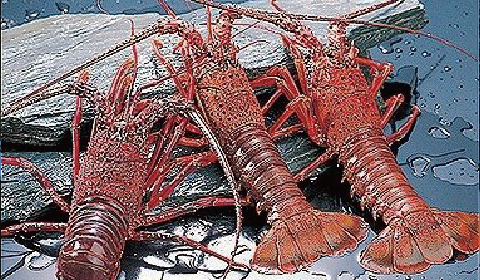 Spiny lobsters can be enjoyed in the autumn and winter months (in season from October to January). Gifts from the sea, abalone (strips) are presented as offerings at Ise Grand Shrine. 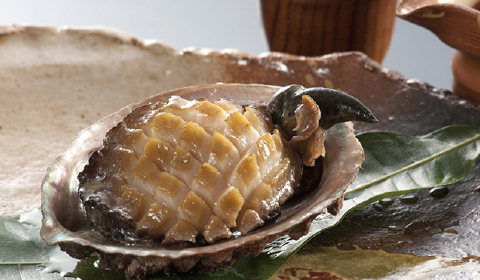 Abalones are superb delicacies carefully hand-picked in their natural form by the ama divers of Toba and Shima. They are harvested in the spring and summer months (in season from April to September). 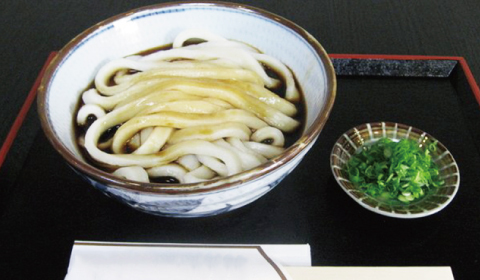 Ise udon is the classic noodle dish of the Ise region. Recently, Ise udon are served with a rich variety of toppings in a black sauce made by adding Japanese stock to tamari soy sauce. The taste varies from restaurant to restaurant, so it’s always fun to compare the different varieties on offer. Ise Bay, the destination of some of the richest, purest rivers in Japan, including the Kiso River flow, is a seafood haven. 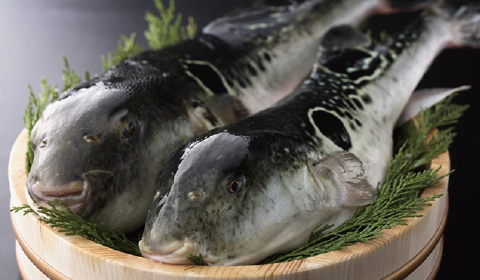 The anori tiger puffers caught here are famous all over Japan and a typical ingredient of Ise-Shima’s winter hot pot cuisine. Tekone-zushi is a kind of hand-kneaded sushi. Legend has it that this style of sushi was invented by local fishermen in Shima, who soaked their fresh catches of skipjack tuna in soy sauce then kneaded them heartily dynamically on top of vinegared rice. 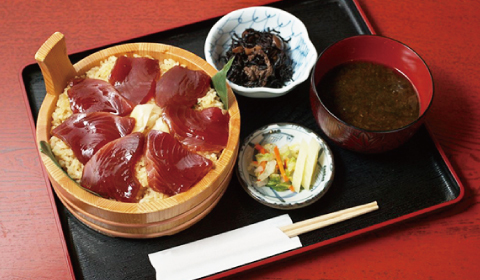 As well as skipjack tuna, tekone-zushi can be made from other seasonal catches, such as bluefin. 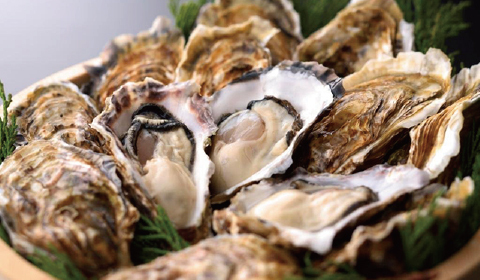 The oysters harvested in the special sea currents of Ise Bay are meaty and boast a rich flavor. 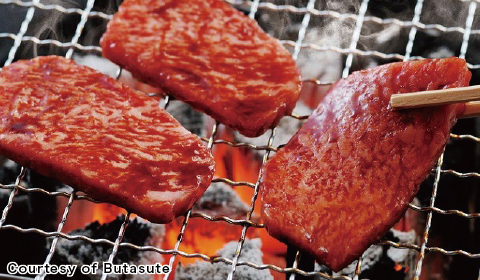 Their exquisite taste and texture is famous all over Japan. In winter, when the oysters are at their best, their flesh is succulent and has a distinctive milky flavor. 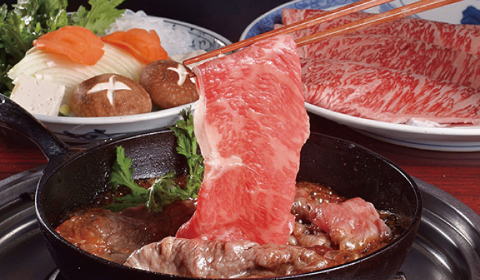 One of the three major Wagyu cattle breeds, Matsuzaka beef is famous all over the world. Regarded as an “art of beef,” cuts of Matsuzaka sport fine marbled patterns (sashi) and a tender meat texture. It also has a rich, high-quality aroma. The mono-unsaturated fat found in Matsuzaka beef has a very low melting point, giving it a pleasant “melt-in-the-mouth” texture. 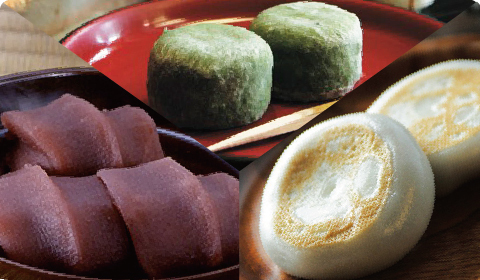 Ise is also famous for its rich variety of rice-cake sweets. Unlike in the castle towns, Ise’s array of delicious sweets grew from a desire to feed the pilgrims making their way to Ise Grand Shrine. Then, the Ise region came to be associated with rice cakes because its sacred location meant that rice was more abundant there than in ordinary domains. 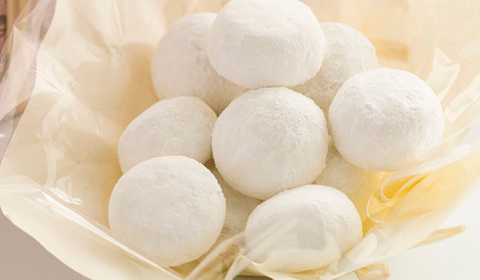 These white motif cookies were modeled after the white rocks found around the main sanctuaries of Ise Grand Shrine. The cookies have a crunchy texture and a pleasant, sweet taste. Their cute pebble-like shape makes them a great souvenir. A standard Ise souvenir, shoga candy stays fresh for a long time. 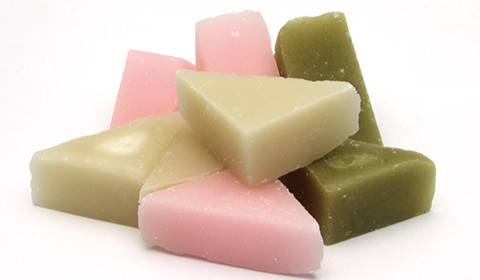 The candy is made by mixing fresh ginger extract and sugar then pouring it into a mould to solidify. It’s fun to choose your favorite flavors. 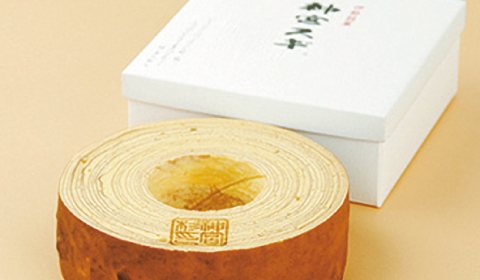 Jingu sugi is a famous cake modelled after the annual rings of the Jingu cedar (sugi) tree. Using carefully selected ingredients, the cake is made by hand, layer by layer, and then baked. 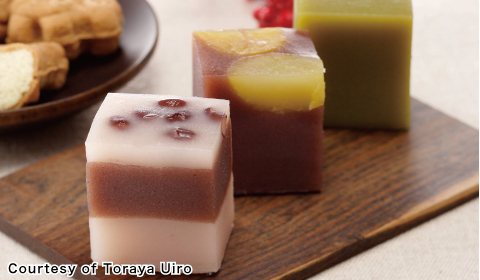 Uiro is a traditional sweet with a firm, springy texture created by mixing and steaming rice powder with ingredients such as black sugar. Made using traditional methods, uiro come in many varieties and are particular popular among the older generations. Ise Tea is the third largest tea leaf producer in Japan. 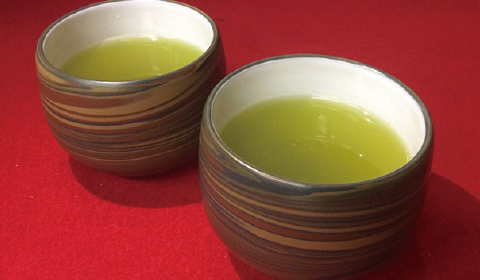 A healthy tea with high catechin levels, the brand was awarded the “Minister's Prize” by the Japanese Ministry of Agriculture, Forestry and Fisheries. It goes well with both Japanese and western sweets. 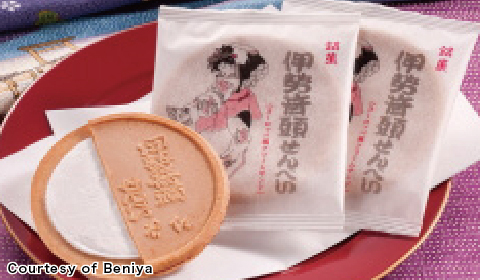 Winner of the Takamatsunomiya Honorary President Award at the 19th National Confectionery Exposition, these nutrient-rice western-style rice crackers are made using ingredients such as fresh butter, eggs, milk, and cornstarch. The combination of baked confectionery and cream gives the cookies a sensational “melt-in-the-mouth” feel. 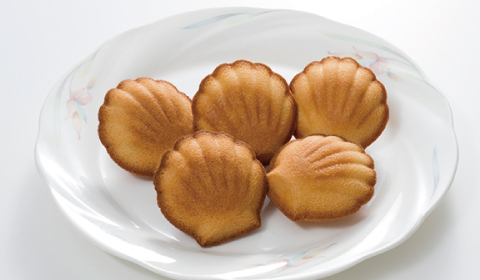 Shell leines are sponge cakes (madeleines) shaped like Akoya pearls. With batter containing natural calcium, shell leines come in various flavors, including plain, Ise tea, and black sesame. Visitors can buy them in the supermarket as well as from souvenir shops. 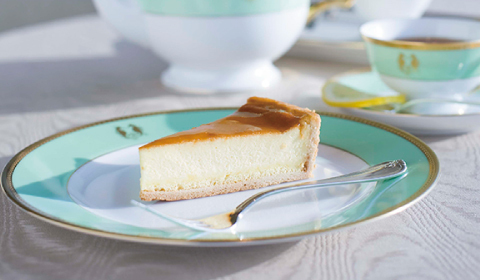 Winner of the Monde Selection Gold Award, this cheesecake has been made with dedication, using specially selected high-quality ingredients, since its inception forty year ago. The harmony of the moist texture and flavors of mellow citrus and rich cheese makes this cheesecake a rare delicacy. 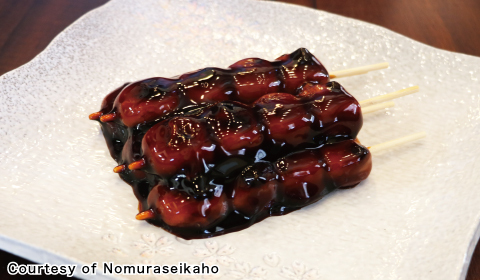 These skewered, ball-shaped rice cakes doused in black syrup have been eaten in the Ise region for generations. Thanks to the unique rich flavor of the sauce, mitsudango have attracted a loyal following of confectionery connoisseurs.